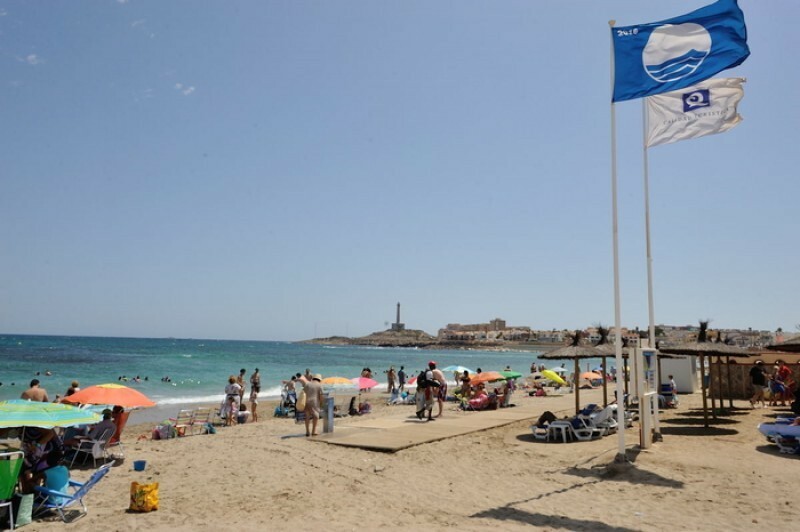 11 Blue Flags and twelve Q for Quality beaches in Cartagena The Blue Flag for beach tourism quality is an internationally recognized award given by the Foundation for Environmental Education, who bill the flag as “a world-renowned ecolabel trusted..
72 coves and beaches offer a wide choice in Cartagena The large municipality of Cartagena has the largest number of beaches of any municipality in the Region of Murcia, and until the water quality problems increased in the Mar Menor was also the..
Special facilities for those of limited mobility at twelve beaches in Cartagena Specially equipped “modules” are available on 12 Cartagena beaches for the 2016 season, comprising specially adapted toilets, changing rooms and shade. 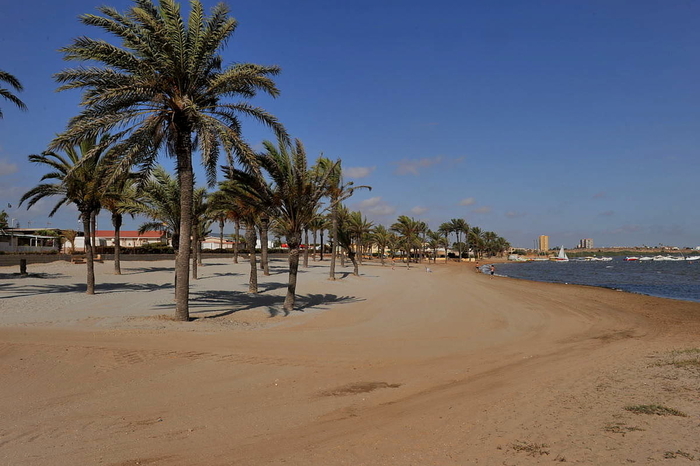 The..
El Carmolí is the northernmost Mar Menor beach in Cartagena The beach of El Carmolí, the northernmost beach in the municipality of Cartagena, covers a long stretch of the western (inland) shore of the Mar Menor, the largest saltwater lagoon..
900 metres long, this is a semi-urban sandy beach The beach of Punta Brava lies at the northernmost end of the municipality of Cartagena, within the Diputation of Lentiscar,and just south of the town of Los Alcázares, from which it is separated by..
Fine sand and calm water at the beach of Los Urrutias Los Urrutias beach runs for 750 metres right along the front of the urban residential area of the same name, so during peak months is a high occupancy beach with lifeguard service.. 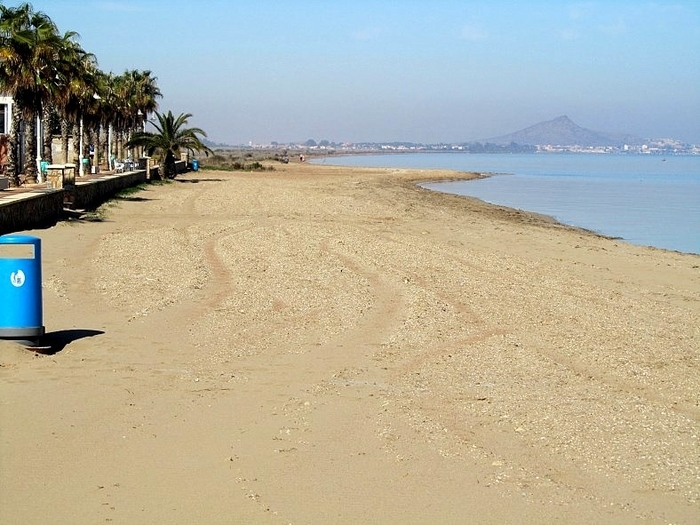 This is..
A long stretch of sand in Los Nietos at the southern end of the Mar Menor The soft, naturally sandy beach of Los Nietos on the western shore of the Mar Menor stretches for 2.7 kilometres in front of the urban area of Los Nietos, averaging 15 metres..
Islas Menores beach on the shore of the Mar Menor The beach of Islas Menores is a 900-metre stretch of golden sand on the south-western shore of the Mar Menor, and is popular all year round with both the Spanish and foreign visitors and residents..
Fine sand and spectacular views across the Mar Menor to La Manga This very attractive long beach at the southern end of the Mar Menor (900 metres long by 25 wide) is one of the best on the inland shore of the saltwater lagoon, with the views out towards.. 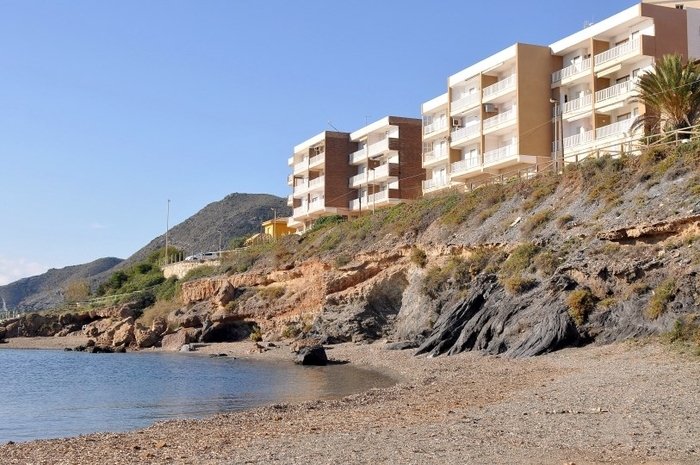 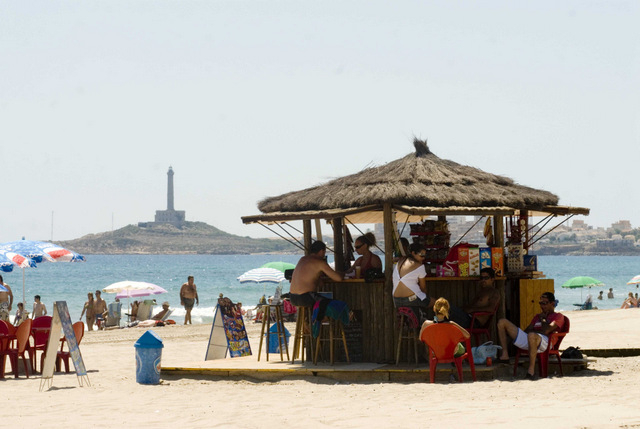 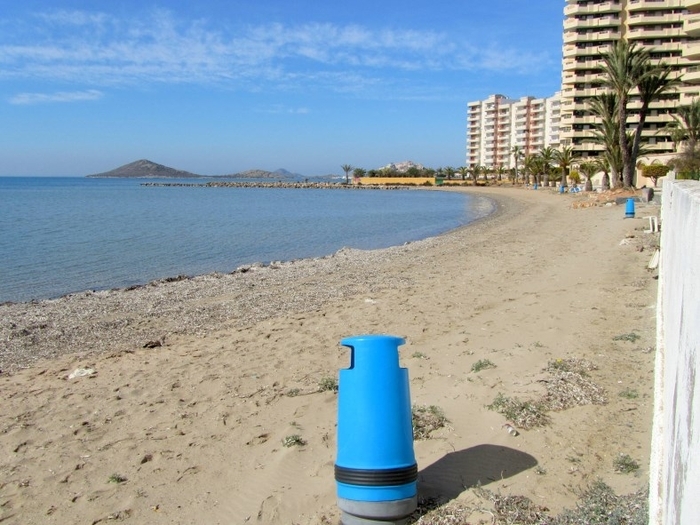 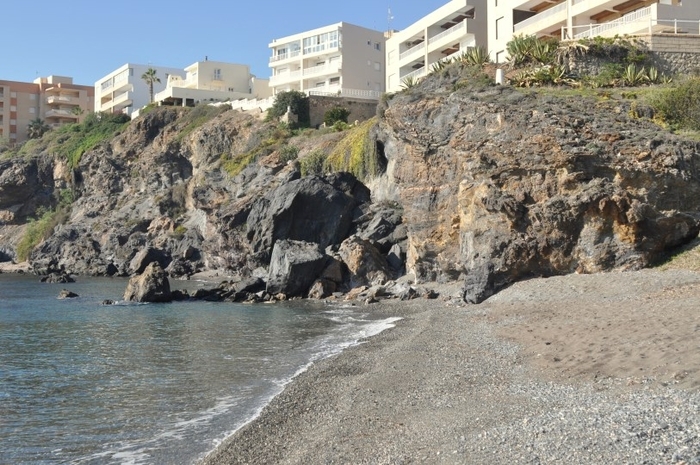 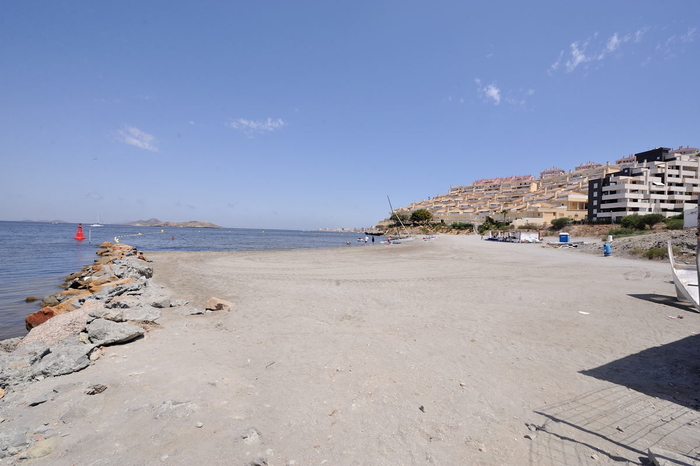 This beach is located directly in front of the La Manga Caravanning Park Playa Lomas del Castillico is rarely called by its true name, being more frequently referred to as the La Manga Caravanning Club beach (Villas Caravaning), due to its location.. 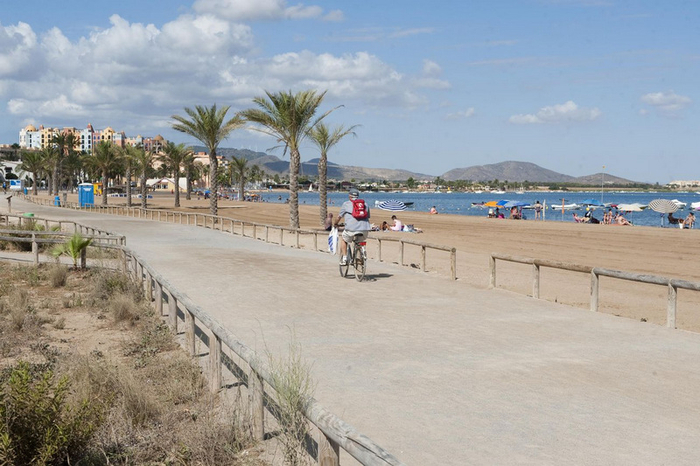 The Q for Quality flag flies at this kilometre-long Mar Menor beach The beach at Playa Honda is a wide north-facing expanse of fine sand at the southern end of the Mar Menor which is popular with bathers all year round due to the warm temperatures..
Playa Paraíso is a natural corner of the Mar Menor by the Marchamalo salt flats The stretch of sand known as Playa Paraíso is an extension of the beach of Playa Honda, and is differentiated by the fact that it is backed onto not by urban development..
An attractive semi-urban sandy cove at the beginning of La Manga del Mar Menor Playa del Vivero is a sandy little gem, tucked away just around the corner from the better known and infinitely more densely populated beaches of Playa Honda and Playa..
A golden sandy beach in at the beginning of La Manga del Mar Menor 150 metres long, this is a semi-urban Mar Menor beach Playa de los Alemanes is tucked away just a short walk from Playa Paraiso and Playa Honda and is a high-occupancy semi-urban..
A sandy Mar Menor beach at the southern end of La Manga The Playa Puerto Bello offers 500 metres of sandy beach on the external area of the Puerto Bello marina at kilometre 1.5 of La Manga del Mar Menor. 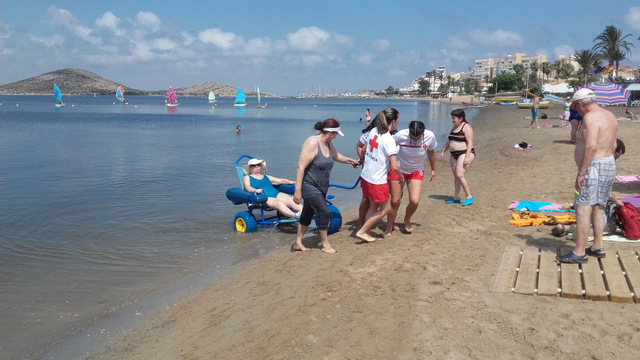 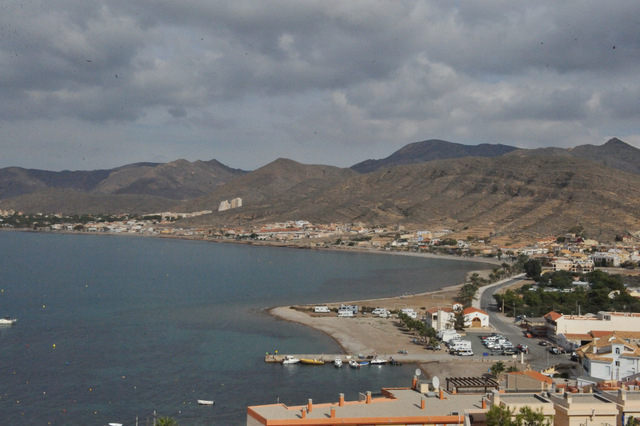 The southern end of the harbour is one..
1.2 kilometres of soft sandy Mar Menor beach Playa Cavanna is a long, curving Mar Menor beach located between the Dos Mares marina and the Gola de Marchamalo, and is well equipped in summer, with access and facilities for the disabled. 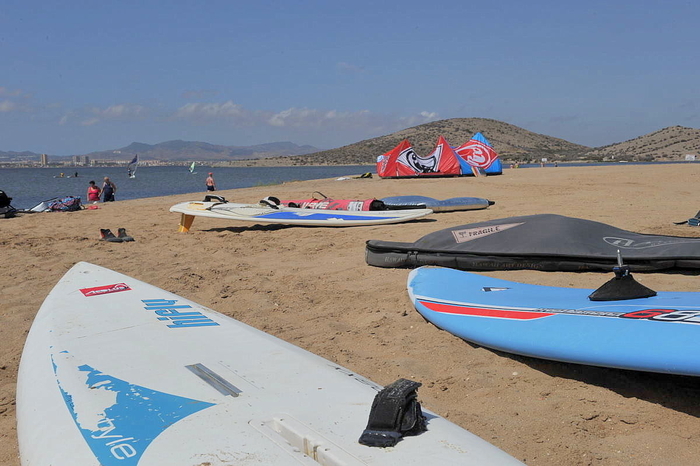 It's an..
An important sporting beach on La Manga del Mar Menor The Darsena de Dos Mares is a very important little sporting beach for all those who enjoy kitesurfing, windsurfing, dinghy sailing and stand-up paddle. 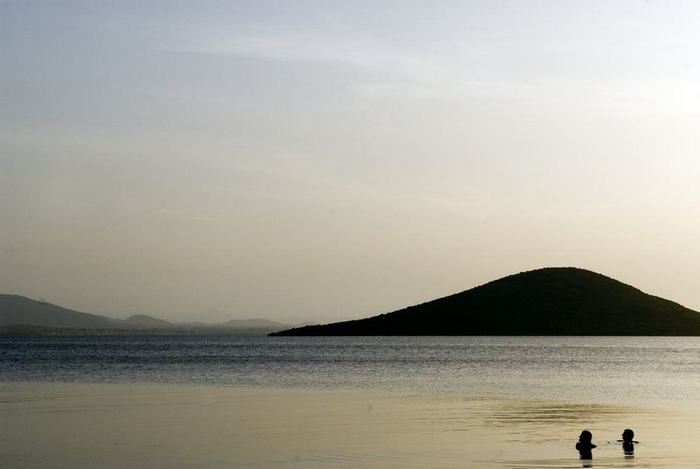 There are schools here offering courses.. 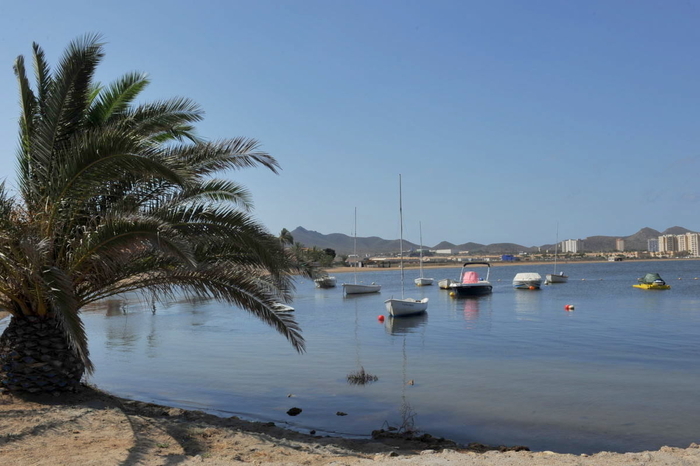 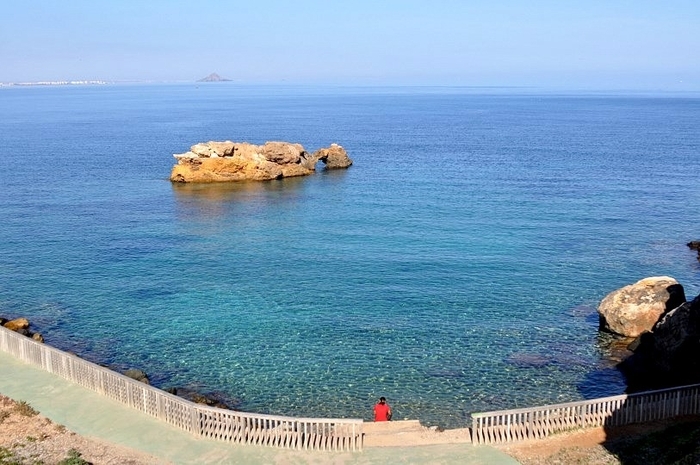 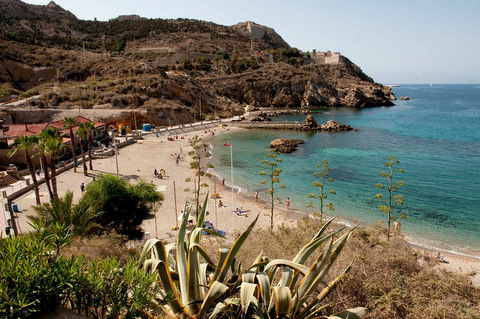 The beach of Cala Pino is a rare gem with shade The Cala del Pino is an exception among the beaches of La Manga del Mar Menor. 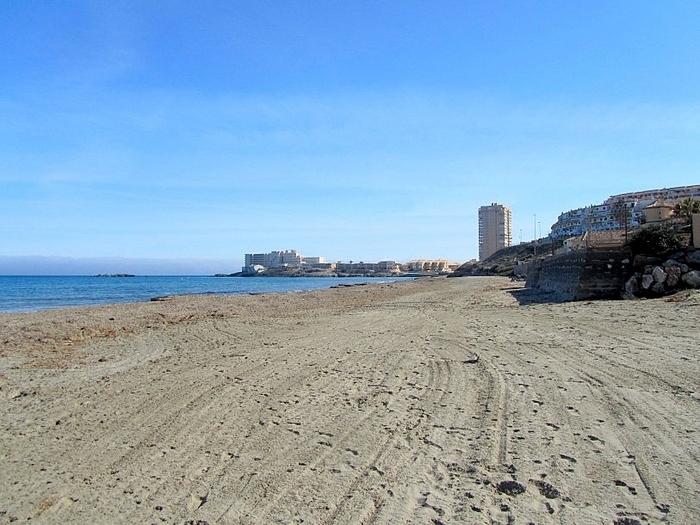 The area is generally associated with long stretches of golden sand and uninterrupted views either out over the Mediterranean.. 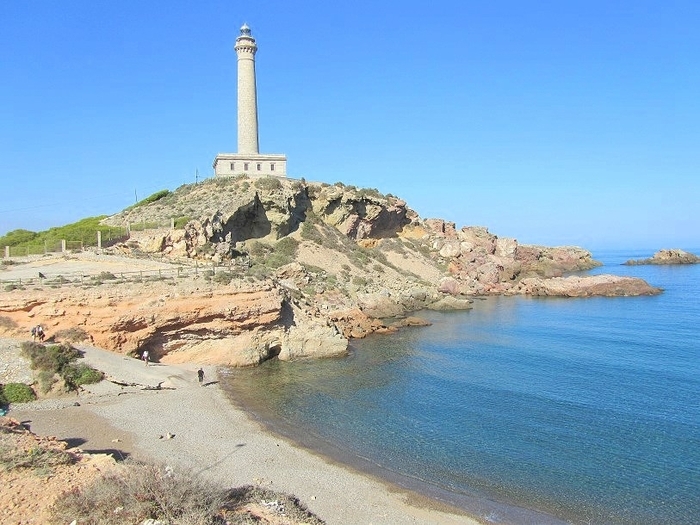 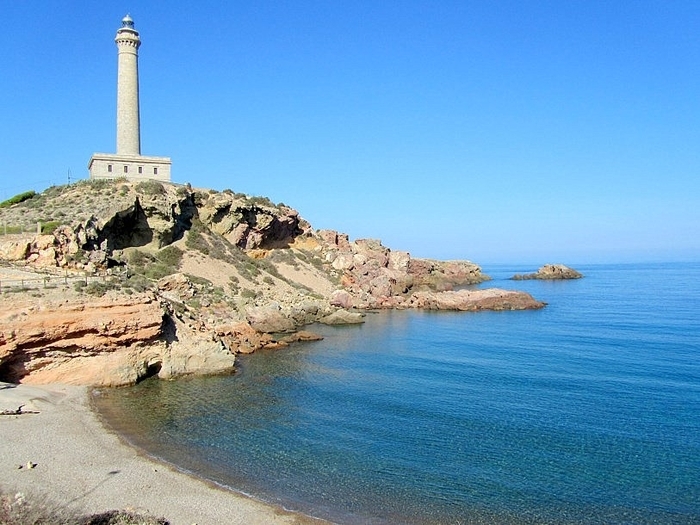 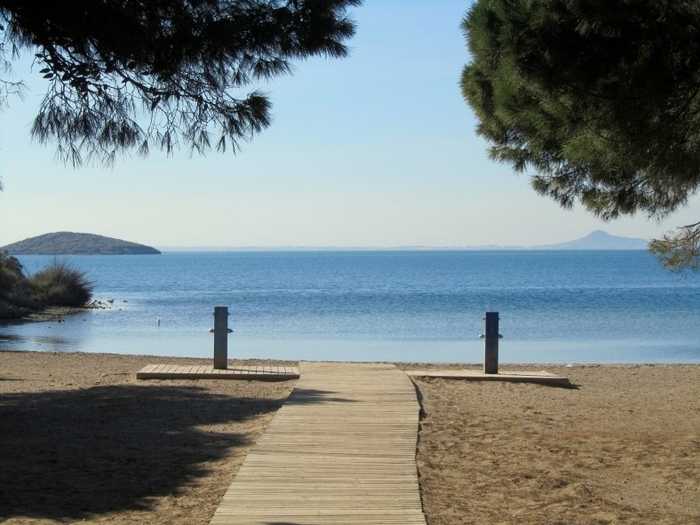 This attractive little beach is also called Cala del Turco Playa de Gollerón is a beautiful little cove, tucked away in a corner of La Manga del Mar Menor and the hidden secret used mainly by those who live or own apartments in the area. 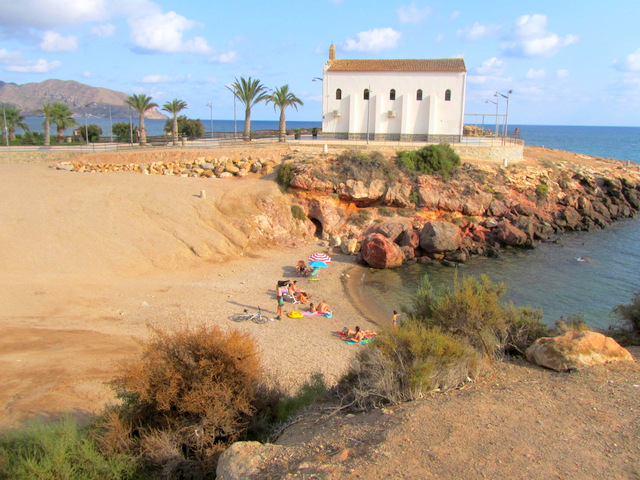 It..
From tiny coves to long swathes of golden sand at the far east of the Costa Cálida Cabo de Palos lies at the eastern end of the municipality of Cartagena on the headland of the same name which juts out into the Mediterranean, and as a result..
500 metres of sandy Mediterranean beach in the south of La Manga del Mar Menor Playa Calnegre is sometimes referred to as Playa de Monte Blanco, and is not to be confused with the beaches of the same name in the municipality of Lorca. 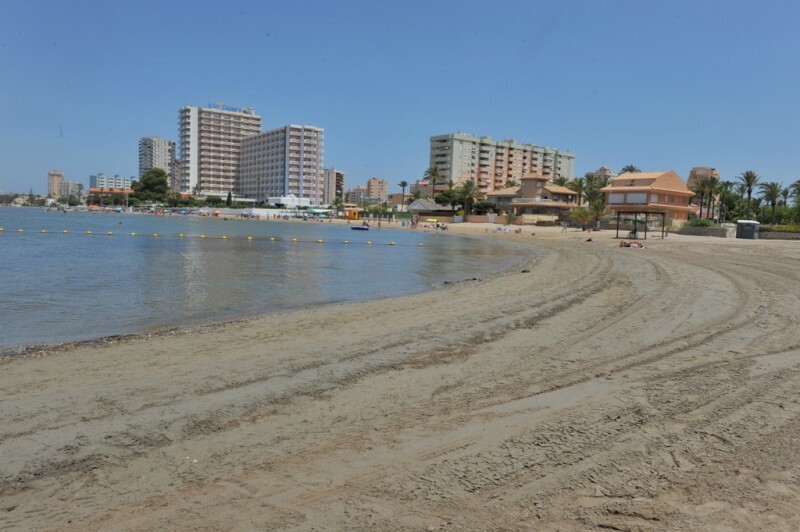 It is located..
Over a kilometre of sandy Mediterranean beach in La Manga del Mar Menor The Playa Galúa on the Mediterranean shore of La Manga del Mar Menor is one of the most characteristic of the beaches on which the fame of La Manga as a holiday resort is.. 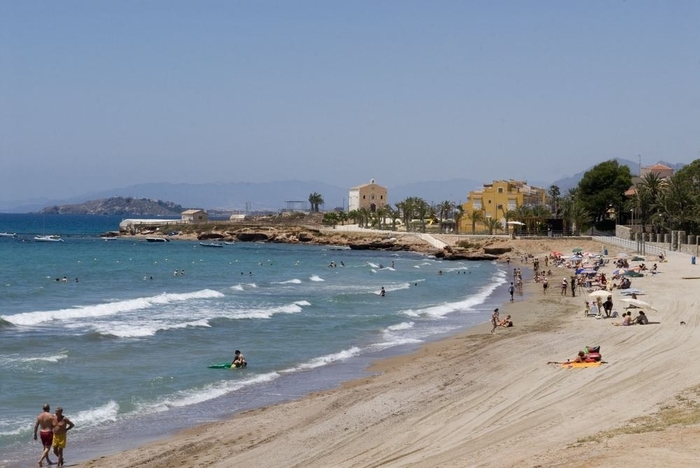 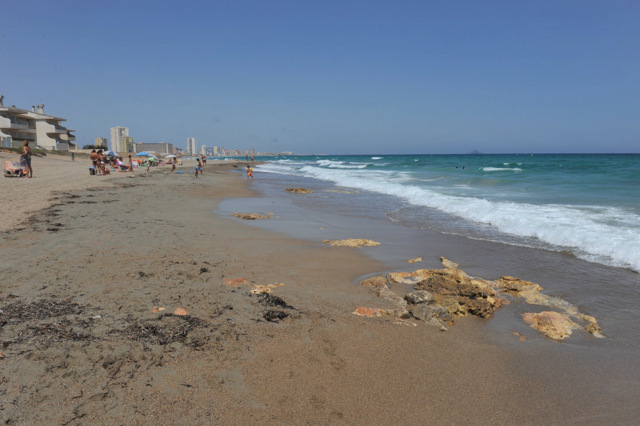 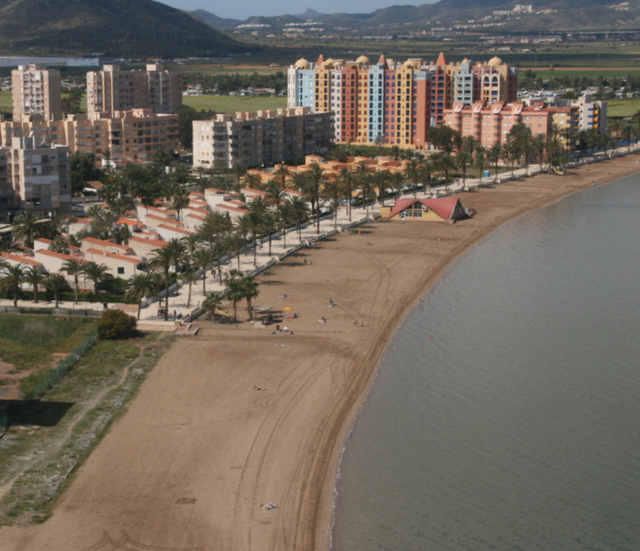 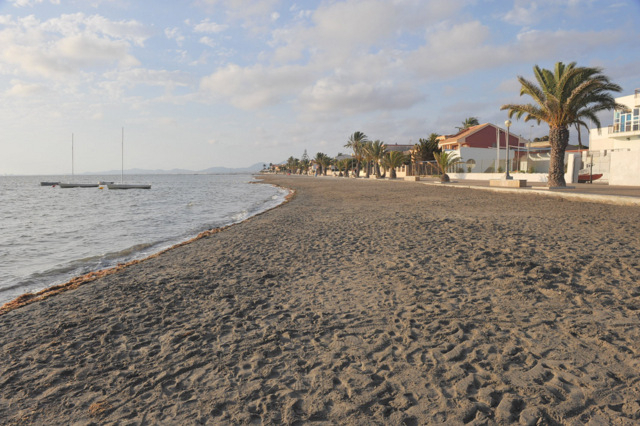 This vast 1800-metre long sandy beach is one of the most popular in La Manga The Playa del Barco Perdido lies in the southernmost stretch of sand on the Mediterranean shore of La Manga del Mar Menor, and is one of the most emblematic beaches in this.. 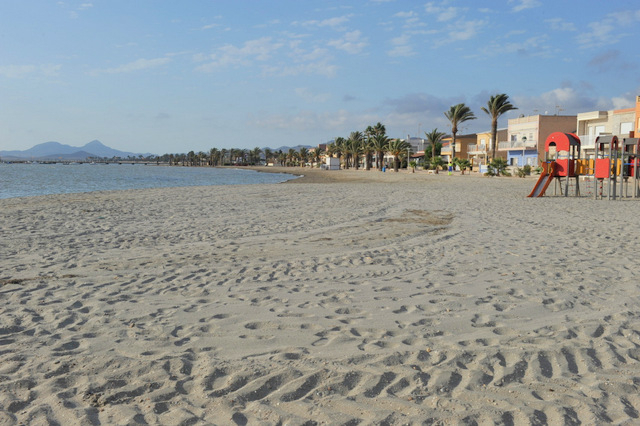 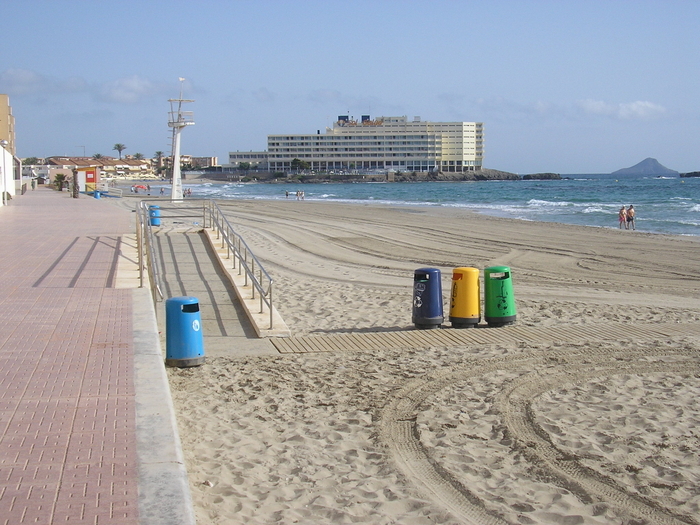 This vast 1800 metre long sandy beach is the second in a run of the three Barco Perdido beaches The Playa del Barco Perdido lies in the southernmost stretch of sand on the Mediterranean shore of La Manga del Mar Menor, and is one of the most emblematic.. 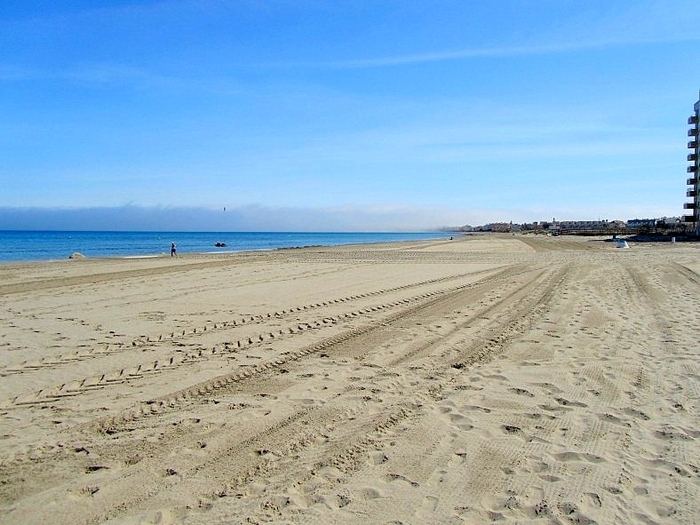 This vast 1800 metre long sandy beach is the third in a run of the three Barco Perdido beaches The Playa del Barco Perdido lies in the southernmost stretch of sand on the Mediterranean shore of La Manga del Mar Menor, and is one of the most emblematic..
A wide expanse of golden sand next to a nature reserve at the southern end of La Manga This 600-metre-long, 30 metre wide stretch of golden sand lies on the Mediterranean coast at the northern end of the headland of Cabo de Palos as the coastline..
A wide swathe of sandy beach in Cabo de Palos with fabulous view This is a kilometre long Mediterranean coastal beach. 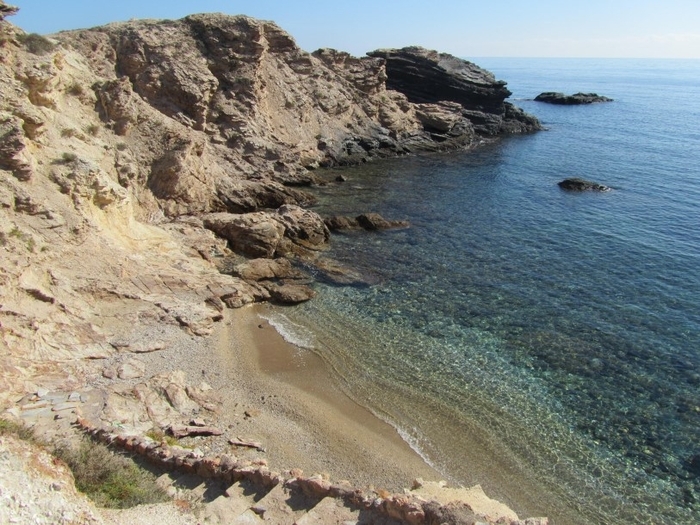 Of all the beaches in Cabo de Palos, this is the one which most resembles the stereotypical Costa Cálida dream beach: a long..
A tiny cove with clear water on the northern shore of Cabo de Palos Cala las Escalerillas is a small and picturesque rocky cove, located at the far end of Playa Levante, one of the most beautiful, and popular beaches on the Mediterranean coastline..
A pretty rocky cove in Cabo de Palos but no beach to speak of! 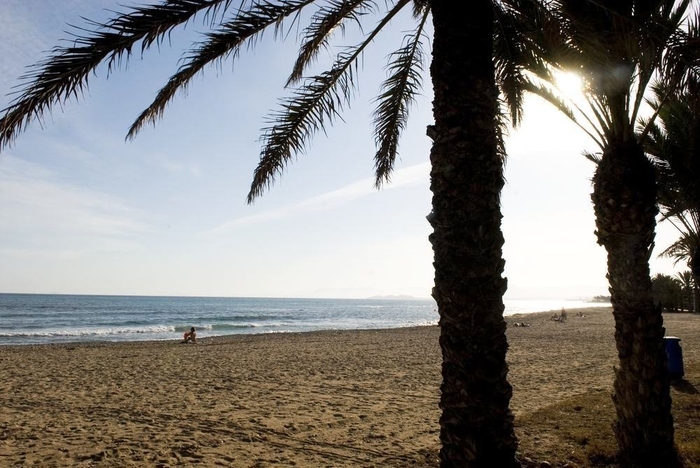 La Galera is an unusual “playa”, because strictly speaking there’s hardly any beach here at all. 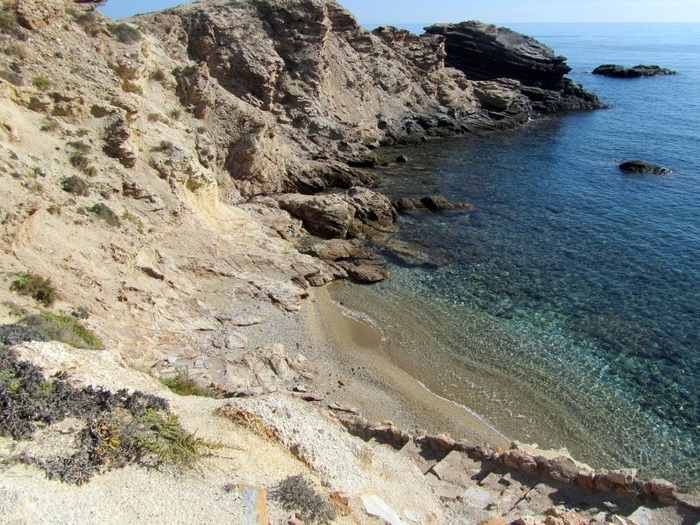 This is a small rocky cove with steps running down to the water from the coastal..
A gravel beach near the lighthouse in Cabo de Palos This south-facing, gravelly beach is not among the most densely inhabited in Cabo de Palos, but for those who enjoy clear water and tranquil sunbathing this only adds to its attractiveness: a..
An attractive sandy cove in the shadow of the Cabo de Palos lighthouse Cala Túnez, also known as Cala Cuna, is the easternmost of the small coves which lie on the northern shore of Cabo de Palos, and lies below the lighthouse looking out over..
A south-facing stony beach near the lighthouse in Cabo de Palos Popular with snorkelers, Cala Roja is a seventy-metre south-facing stretch of shoreline with a mixture of grey sand and rocks, and is very narrow, averaging just 4 metres wide on.. 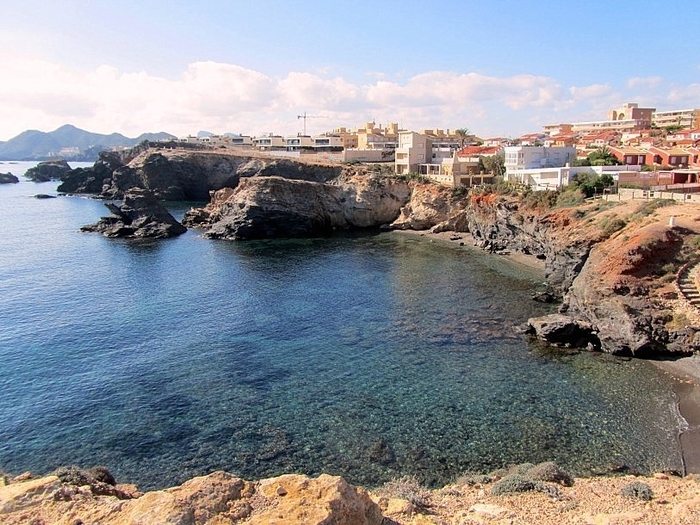 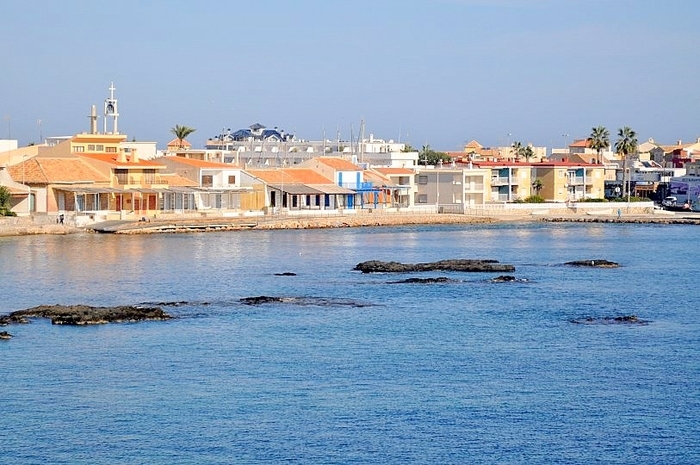 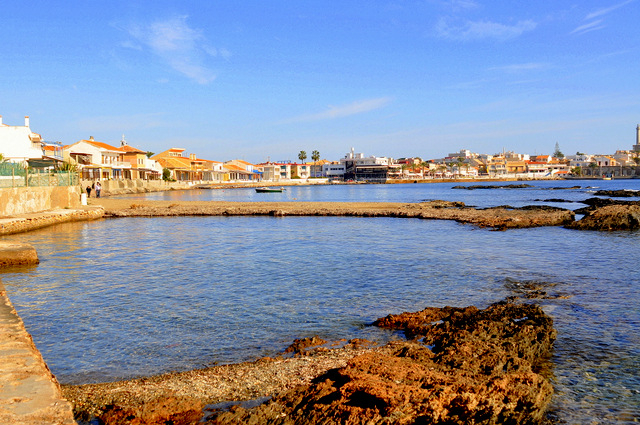 Shallow rock pools west of the marina of Cabo de Palos Cala Abellán is a curious part of the coastline on the southern side of Cabo de Palos, which lies to the west of the town centre and marina at the end of the long stretch of houses on the.. 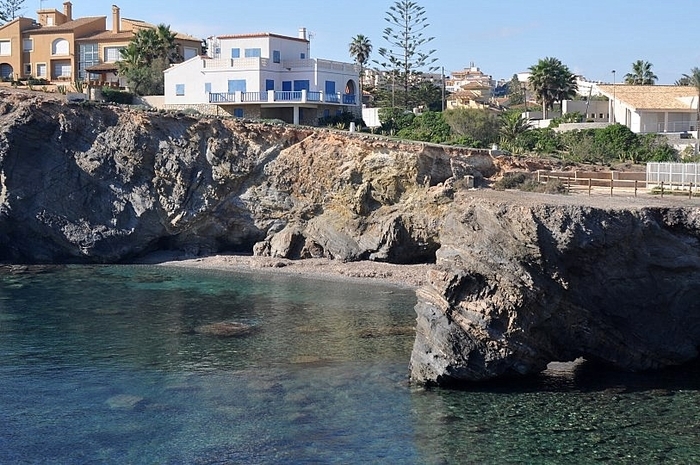 Difficult access to craggy coves on the southern shore of Cabo de Palos The southern coast of the headland of Cabo de Palos consists of a series of small coves nestling under the dark crags and cliffs, and among these spectacular features are..
Pebbly coves just east of the marina of Cabo de Palos The stretch of the shore which is known as Cala de las Melvas in Cabo de Palos lies on the southern side of the headland, just to the east of the port and marina, making it easily accessible from.. 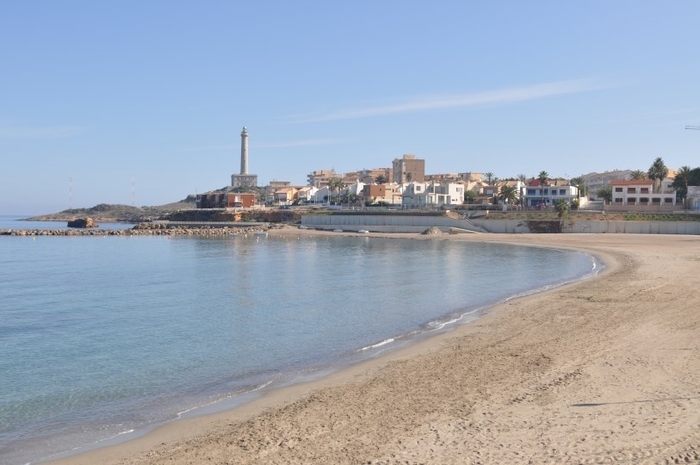 Bathing on the seafront but no beach in this urban area of Cabo de Palos Like many of the beaches of Cabo de Palos, the Playa de la Barra is unusual. 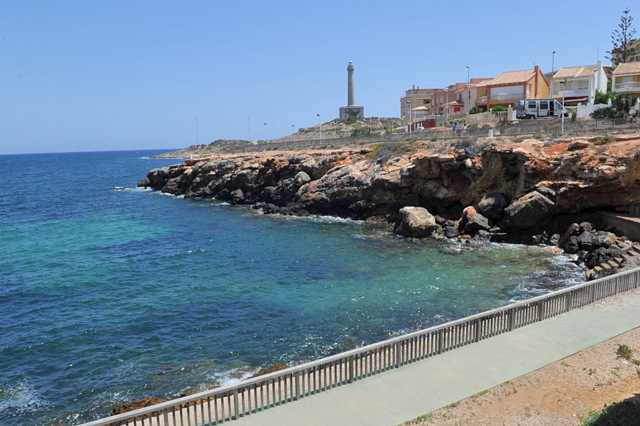 Technically, it's not a beach, as there is no sand or even pebbles between the seafront promenade..
Rocky coastline in the southern part of Cabo de Palos Cala Medina is a cove at the southern end of Cabo de Palos, facing east towards the lighthouse and the marina and the Islas Hormigas beyond. 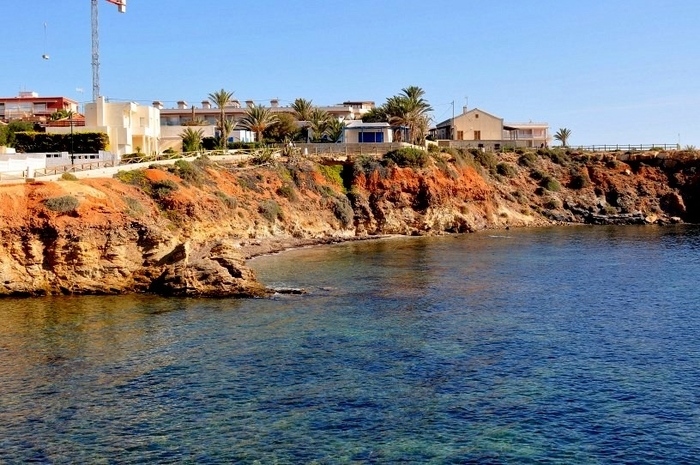 Just to the south lies Cala Flores, while around..
Fine grey pebbles on the beach of a picturesque cove in Cabo de Palos The area of Cala Flores was first built up substantially in the very last years of the twentieth century as Cabo de Palos began to extend towards the south-west along the coast..
A small but picturesque rocky cove with spectacular views The Playa del Descargador is a cove with grey sand and rocks at the very southern tip of the built-up area of Cabo de Palos, and is popular with both visitors and the residents in the new.. 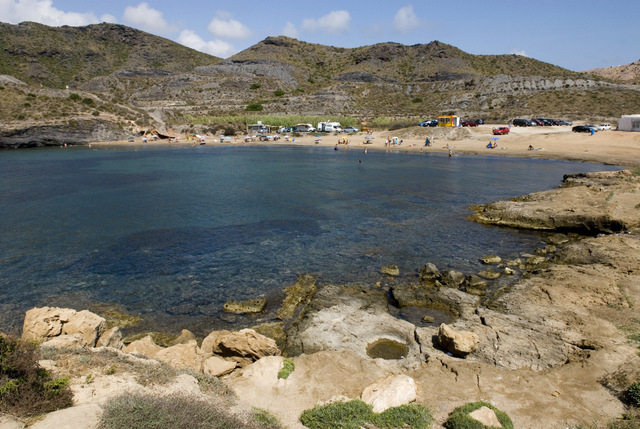 Spectacular scenery and soft sand next to the Calblanque nature reserve Cala Reona lies at the south-western end of Cabo de Palos, at the edge of the Calblanque, Monte de las Cenizas y Peña del Águila nature reserve, and is a popular starting point.. 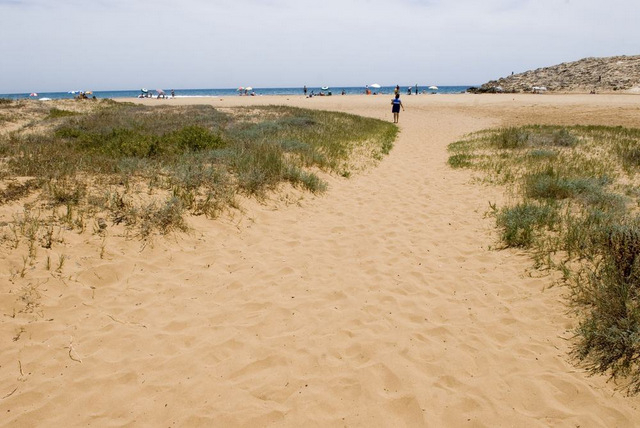 The Calblanque beaches are within a protected regional park The municipality of Cartagena is home to a series of beaches on the Mediterranean coastline which fall within the protected natural park of the Parque Regional de Calblanque, Monte de las..
Cala Cortina is the nearest beach to the urban centre of Cartagena Cala Cortina is the nearest beach to the urban centre of Cartagena and is a naturally secluded cove measuring 250 metres in length and 25 metres in breadth, reached along the road..
El Portús beach and Cala Morena are alongside a naturist campsite An interesting option for those who prefer Mediterranean coastal coves to large open beaches is the fishing village of El Portús which lies within the large municipality of Cartagena.. 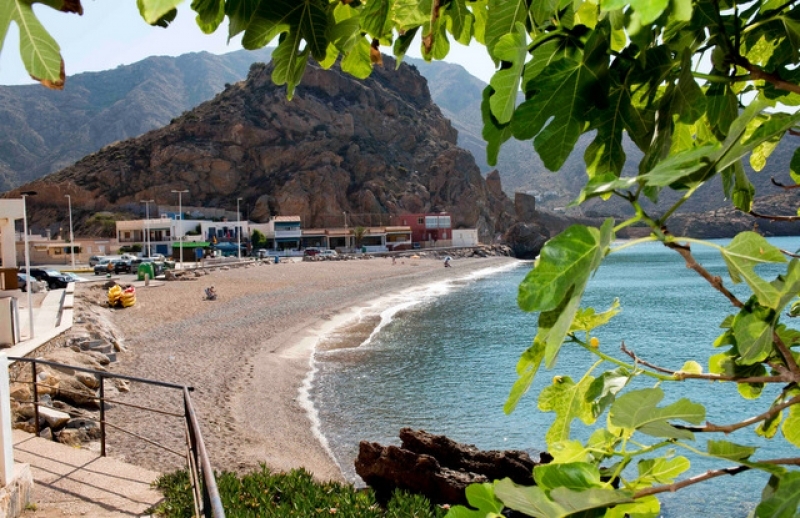 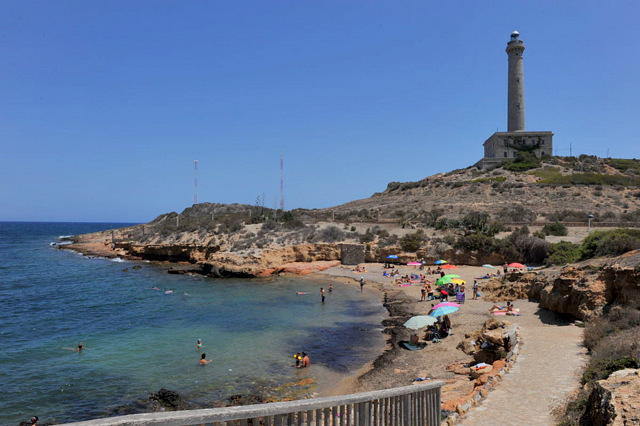 The corner of this beach is popular with snorkelers and families At the eastern end of the bay of Mazarrón, at the foot of the imposing bulk of Cabo Tiñoso, the shoreline curves round and becomes stony with small sandy patches for a distance.. 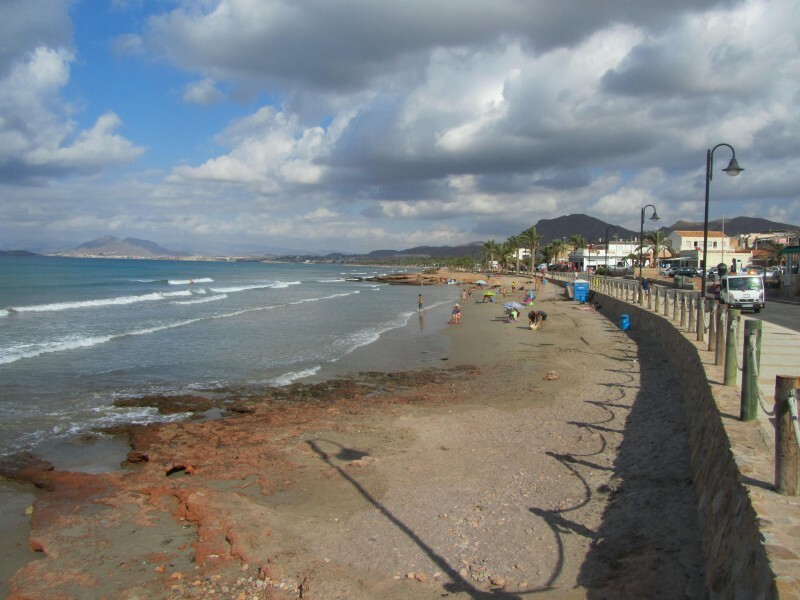 Calm water and tranquility in the eastern corner of the bay of Mazarrón The Chapineta beach in La Azohía takes its name from the hundreds of small shells which used to wash up onto the shore before over-fishing rid the bay of delicious cockles..
A Blue Flag and Q for Quality beach in La Azohía The municipality of Cartagena municipality has several series of beaches, and this one falls within an area which lies at the south-westerly tip of this large municipality, La Azohía and Isla..
A picturesque cove next to the church and neighbours' association in Isla Plana The municipality of Cartagena has several series of beaches and this one falls within an area which lies at the far south-westerly tip of this large municipality..
A Blue Flag beach in picturesque Isla Plana Isla Plana is a small village in the eastern part of the Gulf of Mazarrón, and lies in the far south-westerly tip of the large municipality of Cartagena. 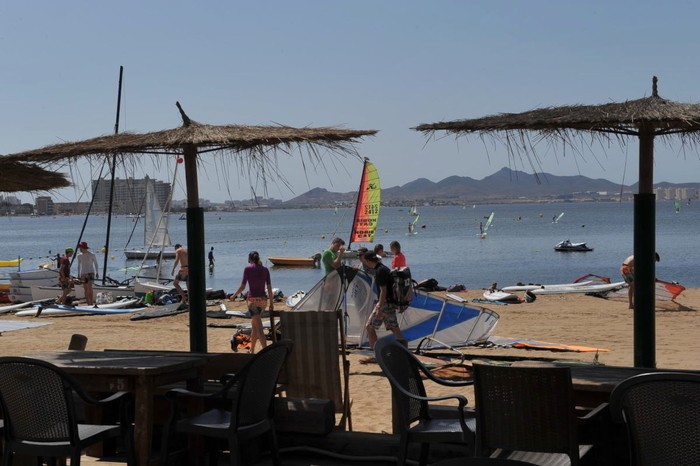 This area has been popular with Spanish holidaymakers..
An important sporting beach on La Manga del Mar Menor The Darsena de Dos Mares is an extremely important little sporting beach for all those who enjoy kitesurfing, windsurfing, dinghy sailing and stand-up paddle. 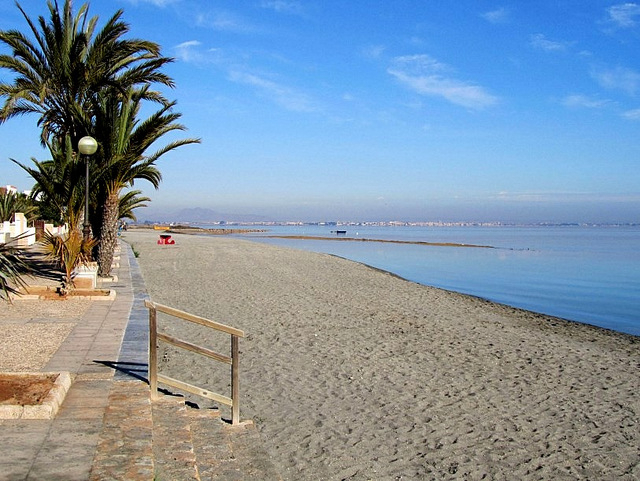 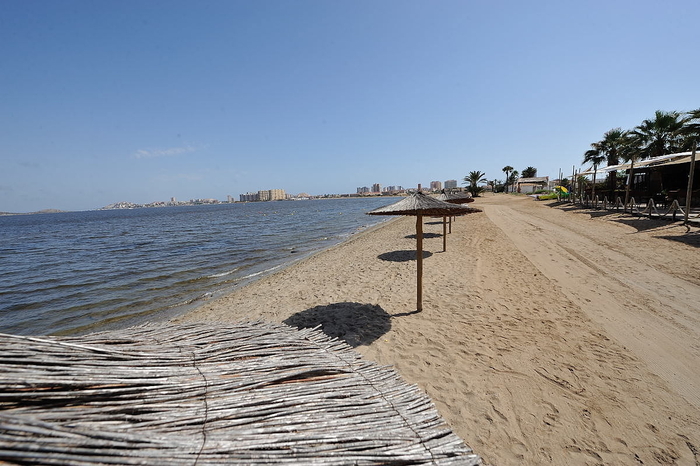 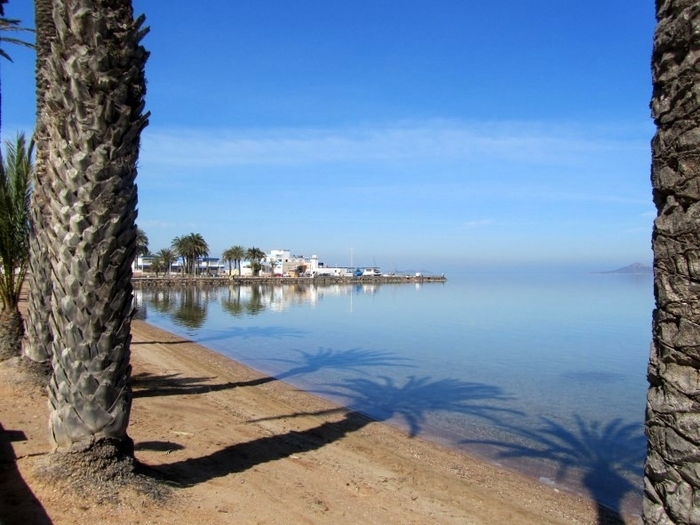 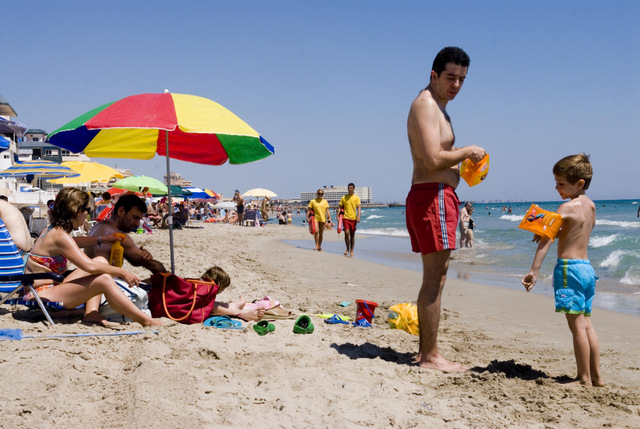 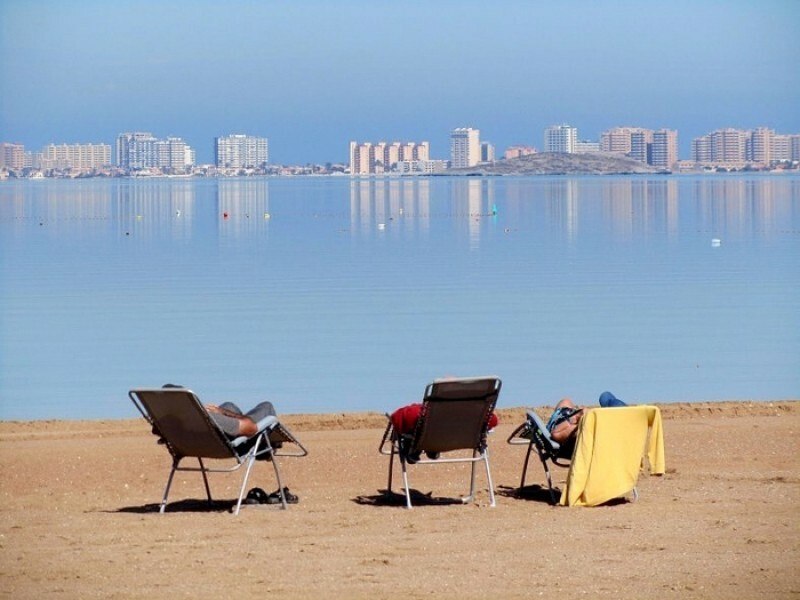 There are schools here offering..
Playa de La Gola beach is on the Mar Menor coast of La Manga The Playa de La Gola is located on the shores of the Mar Menor at kilometre 2.5 of the Gran Vía de la Manga, which is exit 19, just to the south of the Gola de Marchamalo after which..